The temperature was 5.9 degrees on 5 o'clock in the morning. It was very cold morning today. I didn't run this morning. 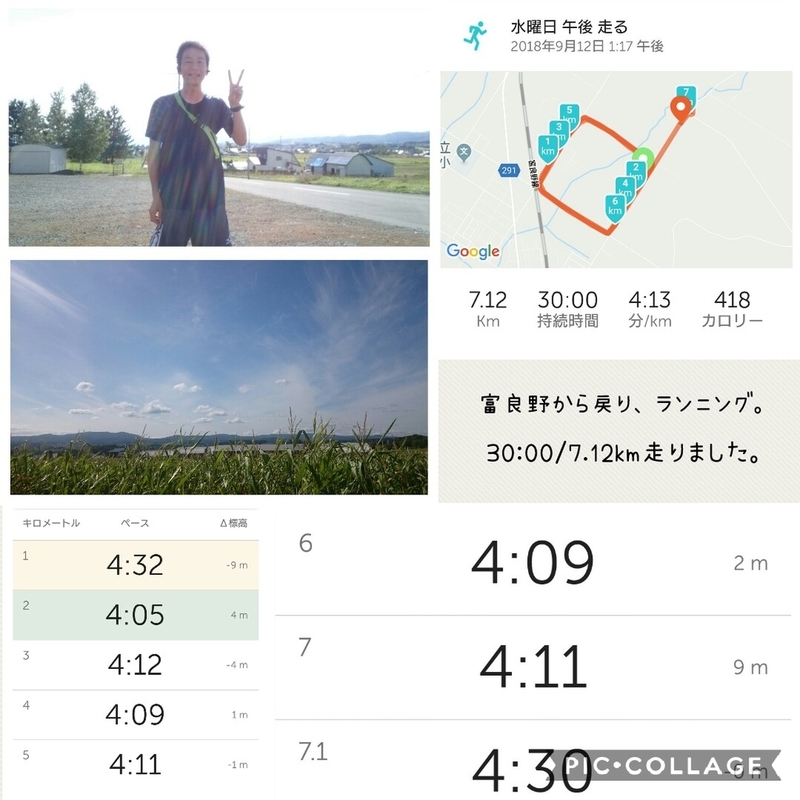 After work in Furano, I run. I run about 7.1 kirometers. 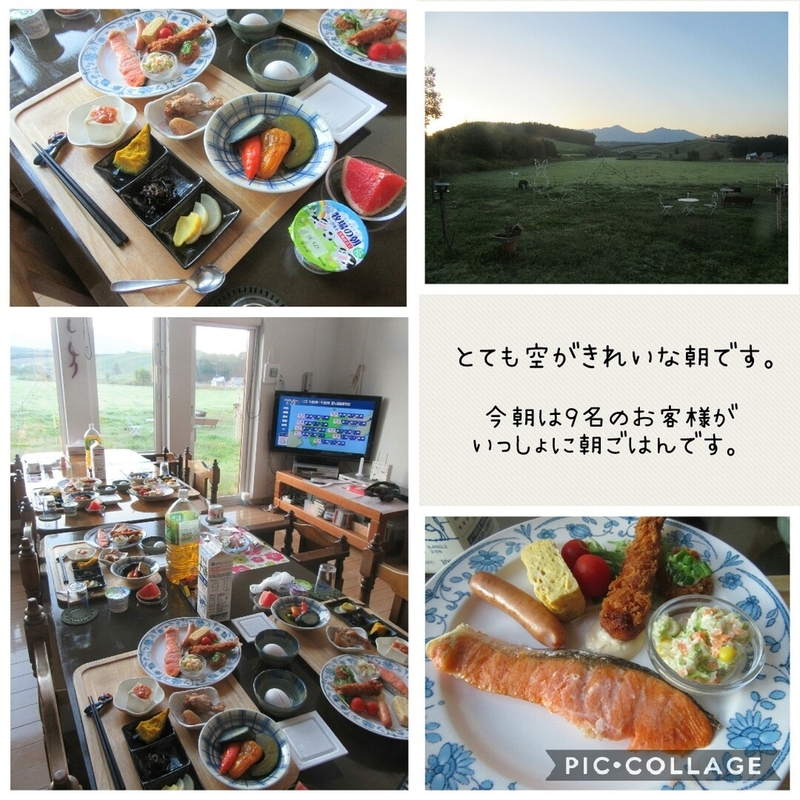 The guests who come from Miyagi,Tiba,Utsunomiya had breakfast. 9 guests had breakfast together. It was sunny from morning, so it was good condition for guests to play outdoor. I worked in Furano from morning. We are saving the electrical in Furano sports center. Users are cooperating save the electrical. 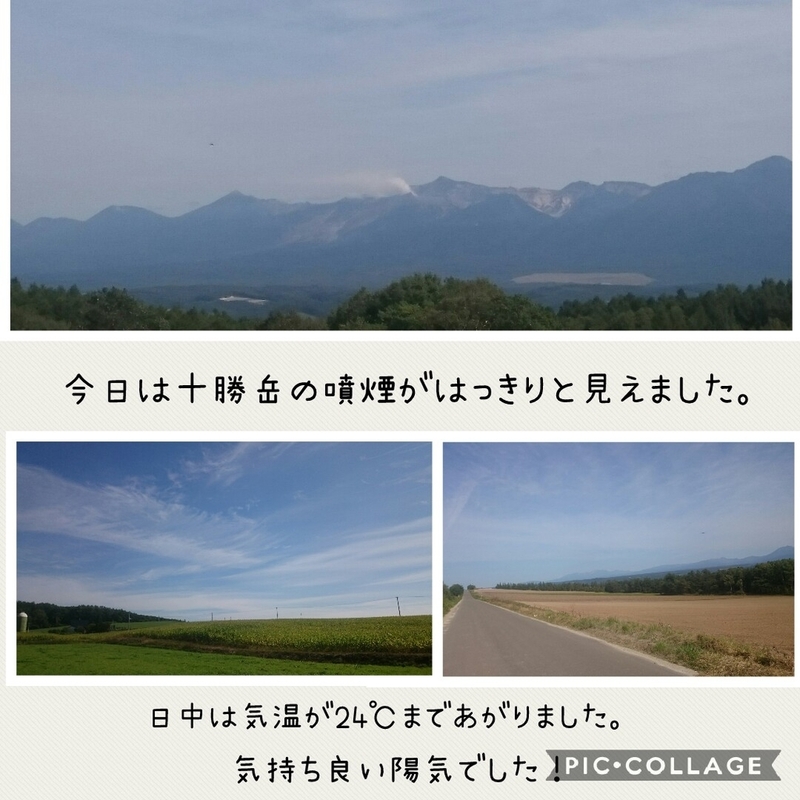 After work, when I drove to Kamifurano town, I saw the Tokachidake mountain plume. 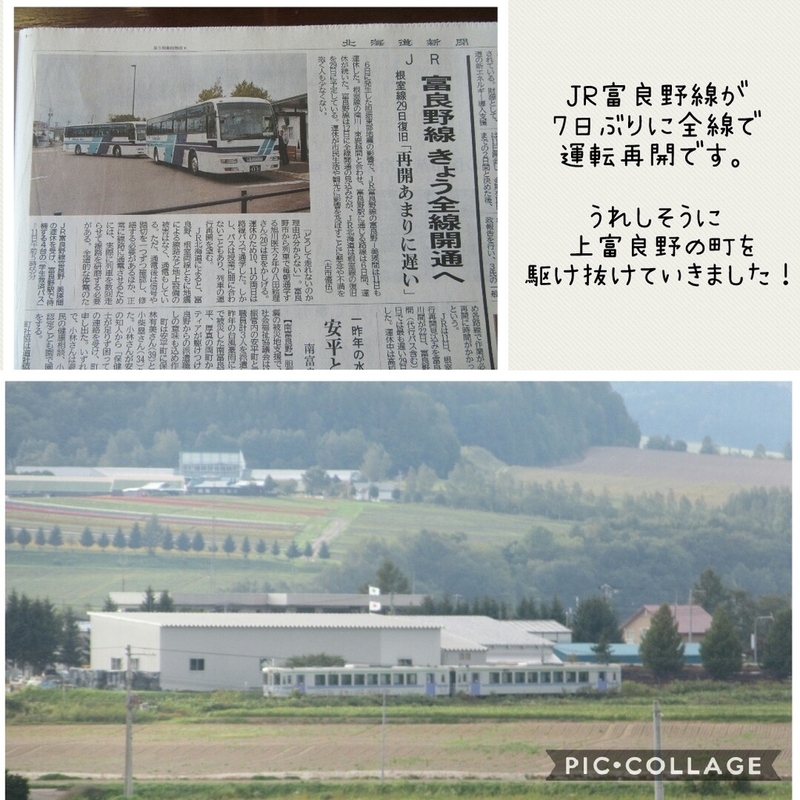 We can ride the JR Furano line all statioins from today. The train moved for the first time in a week. I felt that train was happy. So, the train to go through Kamifurano town. The guests from Tiba,Utsunomiya stay Stella. They stay 2 nights together. 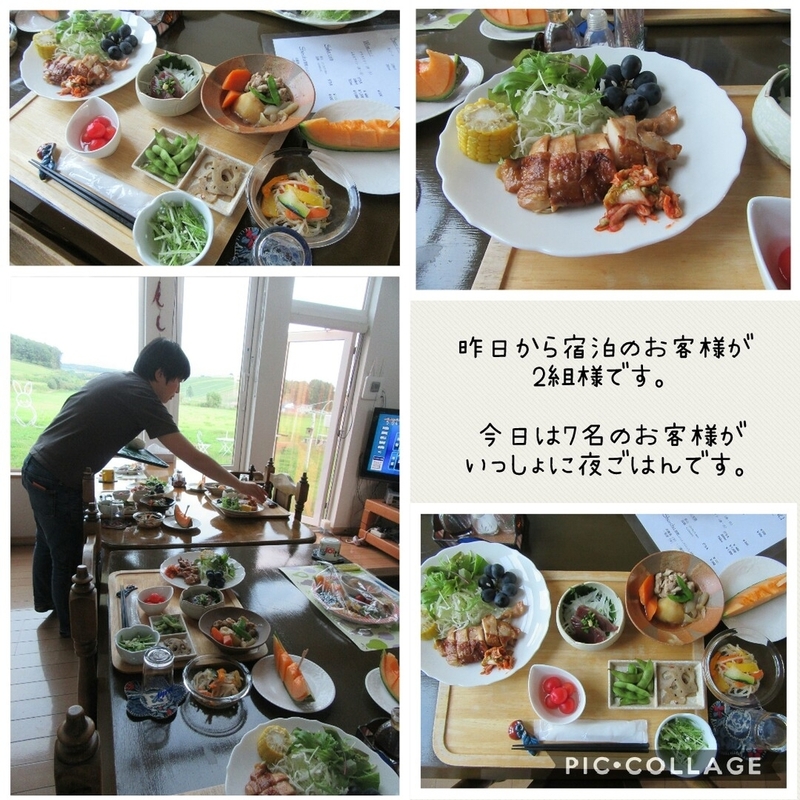 7 guests had dinner together. We can use JR Furano line, so official traffic are normal service. If you come and stay in Kamifurano, please don't worry.